Uttarakhand, well-known as ‘The land of Gods or Dev Bhumi’ – is an empyrean for the nature lovers and adventure enthusiasts. The foothills of the Himalayas are just perfect for trekking and camping aficionados in the country. The rugged beauty of these lofty mountains allure the tourists from all over the globe. Auden’s Col, one of the toughest treks in Garhwal that joins the Jogin I and Gangotri III summits on one side and on the other side, it joins two glaciers, one of which is the Khatling. 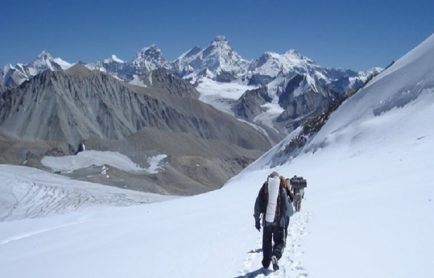 The trek starts from Gangotri and on the way to Nala Camp, you will pass through the pine and birch forests after which there is a day trek to the Rudra Gaira Base Camp that offers an extraordinary view of the snow-clad Himalayas. Gangotri base camp is the next stop and from here begins the way up to the Auden’s Col base camp. The fascinating trek to the Khatling glacier is arduous but well-worth the view. The descent commences after Masar Tal, Vasuki Tal and then end at Kedarnath. The Bali Pass trek is a popular trek to Yamunotri. The trek is inside the Govind Wildlife Sanctuary, an abode to the rich flora and fauna. The trek begins at Sankri. 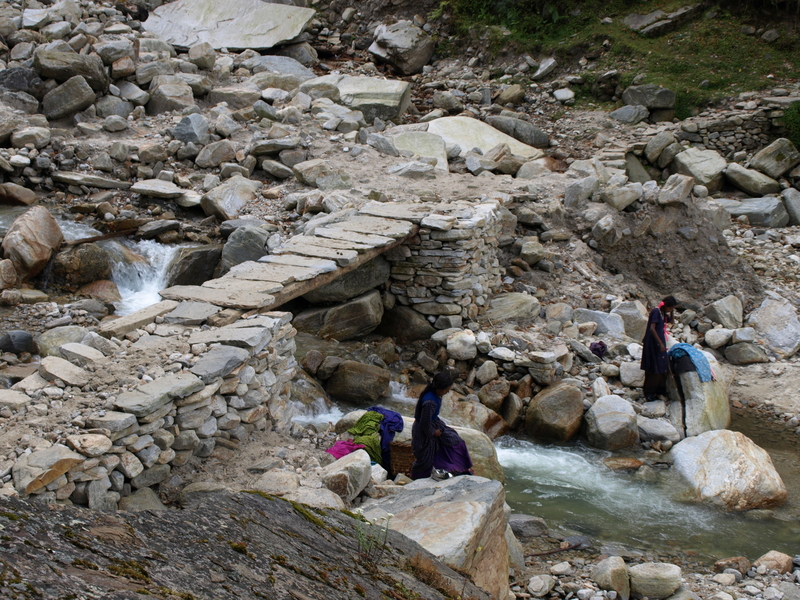 The trail continues along the Supin River and climbs gently to the village of Dhatamir and Osla. During the trail you cross the rivers Tons and Siyan Gad. The expedition continues to Har Ki Dun, which is a cradle shaped valley abundant with a variety of flowers, rare wildlife and scenic views of the surrounding peaks of the Himalayas. The route then continues to Ruinsara Tal through conifer forests and grasslands. A steady climb from Ruinsara takes you to the base of Bali Pass. After crossing the pass, the trail is downhill through the open forests and pastures to the Yamunotri Shrine. This place is good to halt and proffer an obeisance to the God. The route then continues to Janak Chatti and Hanuman Chatti. Chopta, situated on the Gopeshwar-Ukhimath road, is nestled at an altitude of 2900mts above from the sea level. Rich in flora and fauna, this enchanting route covers a whole illustration of the magnificent panoramas. The Chandrashila Trek can be done all through the year except the months of December and January, when the Garhwal Himalayas are covered with heavy snow. The summit of Chandrashila, a rock face above the Tungnath temple, offers a beautiful sight of Nanda Devi, Kedarnath, Trishul and Chaukhamba peaks. The hike is short but arduous after Tungnath, the highest temple in the Himalayas. Dayara Bugyal is one of the most awe-inspiring places in Uttarakhand. The possibility of Nordic and Alpine skiing is vast here, as during the winter season, it offers one of the best ski slopes in the country. The famous Dayara Bugyal Dodital Trek passes through the picturesque places of Barsu and Barnala Bugyal. The route above Barnala climbs the ridge where there is a sparkling lake known as Barnala Lake. After this, the trail ascends through a lush alpine forest that takes you to the meadows of Dayara. The trail then takes you to Nimdhar and ends at Dodital, an emerald lake enclosed by the dense forests of pine, oak and Deodar. The panoramic view of the Himalaya from here is breathtaking. Dodital is located at an elevation of 3024 m north of Uttarkashi. The lake is surrounded by the dense oak woods, deodar, pine and rhododendrons. The forest surrounding the lake is also full of flora and fauna. 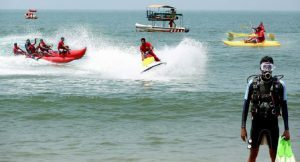 It gives an idyllic set up for rest and recreation activities like angling, boating and bird watching. It takes two days to trek from Dodital to Hanuma Chatti via Darwa Top. The serene surroundings, splashing streams, dense alpine forests and crystal-clear water make for a perfect retreat. The lake is also a home of himalayan golden trout. The panorama of this trek is beyond your expectations. Bamsaru Khal is known for its lush meadows and wild flowers, offering splendid views of the Bugyals and the peaks that stand as guards along this wonderful trek. It is one of the least explored valleys in the Garhwal Himalayas. The valley is adjacent to the well-known Ganga valley. The Dodital Bamsaru Khal Pass Trek provides a chance to explore the Asi Ganga Valley and Chayya Gidara Valley. The trail passes through the picturesque places like Bhebra and Sangam Chatti. The route is considered as the old conventional joint between Gangotri and Yamunotri. The Gomukh – Tapovan trek is one of the most pleasing and moderate treks in Uttarakhand. You will pass through an orchard of coniferous pine trees at Chirbasa and birch at Bhojwassa. The trek takes you to the Lanka and Gomukh from Bhojwassa. The herds of Blue mountain goats known as Bharal, are a common here on the mountain ridges. You will explore the Gomukh Glacier, just four kilometers ahead from Bhojwassa. From Gomukh to Tapovan the climb is sheer, and as you climb, the sight of the adjoining peaks becomes clear. This is one of the moderate and most well-liked treks in the Garhwal Himalayas. Several options are offered to extend this trek over the high passes. This trek along with the Tons River gorge is enclosed by the high mountains and thick forests. For bird watching, this trek is highly recommended in the pre-Monsoon months. The post monsoon season is perfect for appreciating the wild flora. Situated at a height of 3566mts, Har-Ki-Dun is enclosed with gleaming peaks and lush-green forest. The valley is rich with flora and fauna and is a veritable paradise for the nature lovers and photographers. During the trek, you can spend time identifying the herbs and shrubs. Har-Ki-Dun is a sacred place and it is believed that the Pandavas went to heaven through this mountain. You can find the trees of rare Bramhakamal and Bhojpatra in the trek. Jaundar and Swargarohini glaciers are located in the southeast and the Bandar Punch mountain is perched in the west of Har-Ki-Dun region. 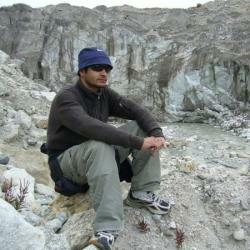 The Kalindikhal Pass Trek is regarded as the ‘BIG DADDY’ of all the treks in Garhwal Himalaya. This high altitude expedition commences from Gangotri, and its end point is Badrinath, which is reached via Kalindikhal. 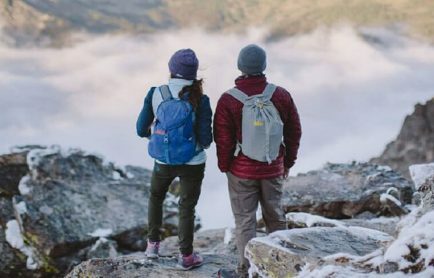 The main stopovers of the trekking tour are Tapovan (4250 m), Nandanvan (4500 m), Vasuki Tal (5300 m), Kalindi Base (5590 m), Kalindikhal (5948 m), Arwa Tal (3980 m), and Gashtoli (3600 m). Further, the terrain of this trekking trail adds actual thrill to the tour, as it is covered with scree, snow, glaciers and boulders. Another uniqueness of the trail is that it lets you explore half of Garhwal from the Bhagirathi river valley to the Alaknanda river valley. Besides, it also amazes you with the sight of various peaks like Satopanth, Vasuki, Bhagirathi, Shivling and Chandra Parvat. Located in the Gangotri region of the Garhwal Himalayas, Kedartal Tal Trek is perfect for the mountain lovers. 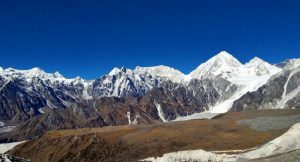 This trek awaits to amaze the onlookers with the spectacular view of the Greater Himalayan ranges, like peaks of the Jogin group, Bhirgupanth (6772 m) and Thalayasagar (6904 m). Amidst the snow-covered peaks and terrain, the trekkers can also get the glimpse of various mountain fauna species like the Blue Sheep, Himalayan Black Bear and Goral. However, in order to enjoy the sight of all these natural splendors, travelers will have to accept all the challenges of the expedition. In the year 1934, a British team with 6 shepherds, was the first group to explore the splendor concealed in the wilderness of the Nanda Devi Sanctuary. Thereafter, many travelers made their way to the sanctuary, which eventually led to environmental issues and the sanctuary was closed in 1983 by the Government of India. However, now the scenario has changed and the place welcomes the tourists whole heartedly. Trekking towards this high altitude sanctuary is an uphill battle, but once reached, the vista you observe is simply worth the entire struggle. 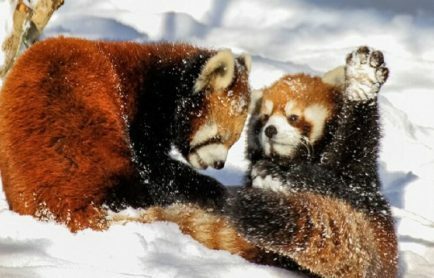 Various beautiful and enticing mountain species like Bharal, Himalayan Thar, Serow, Brown Bear and so on can be seen frisking in the sanctuary. 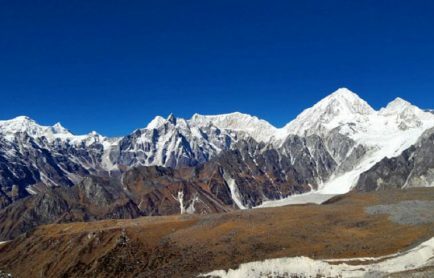 Another fascinating fact about this trek is that treats the eyes with the sight of twelve peaks, a few to name are Changabang, Dunagiri, Trishuli and Nanda Kot. Located in the lesser Himalayan region, Nagtibba or more popular as the ‘Mountain of the Serpent’ is a paradise for the adventurists. This range is named as Nagtibba as it is regarded as an abode of the Nag Devta, and local people of the region worship the respective deity. In addition to spiritual value, the trek is famous for providing the fabulous sights during the sunrise and sunset. The trekkers are also greeted by the vistas of the Bandarpoonch peak, Gangotri group of peaks, Kedarnath peaks and peaks of Changbang. Thus, owing to the exquisiteness of this trek, trekking in Uttarakhand becomes worthwhile. 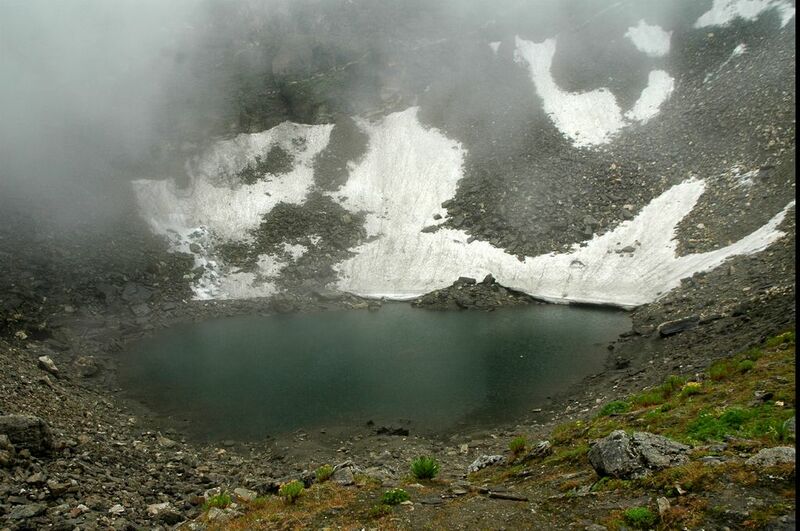 Roopkund Lake or better known as the Skeleton Lake, is one such rare place that is popular not for its magnificence, but for the mystery of the dead. There are thousands of corpses resting in and around the lake, and as per the folklores it is said that a group of travelers was caught in a hailstorm. A furious hailstorm was caused because the local deity got enraged by the visitors. Another fact that lures the adventure lovers towards this trek that its challenging terrain complements with the picturesque snow-dressed peaks and Bedni Bugyal grasslands. Furthermore, the lake is also famous for various religious reasons, and one of them is the ‘Nanda Devi Raj Jaat Yatra’. It is a pilgrimage that takes place once in every twelve years. The rough route of the trek takes you to the Satopanth Tal, a high altitude glacial lake enclosed by the towering snow-dressed mountains like Neelkanth (21638 ft), Satopanth (23,206 ft), Swargarohini (20507 ft), Chaukhamba I (23413 ft) and Balakun (20040 ft). In addition to this, the reflection of the Chaukhamba peak in the crystal-clear water of the lake is an icing on the cake. Besides this, there is a spiritual belief related to the triangular shape of the lake. It is believed that each corner of Satopanth is occupied by Lord Brahma, Vishnu and Shiva respectively. The word ‘Shivling’ means a symbol of Lord Shiva and this is the main highlight of this trek. In fact most of the mountains and glaciers that fall in the way have been mentioned in various sacred scriptures of the Hindu religion, and thus it would not be wrong to state that Mt. Shivling is a Mecca for the Hindus. Furthermore, during the journey the trekkers get an opportunity to visit the holy river Ganga and its sources. Besides this, various other glaciers like the Meru Bamak and Kirti Bamak stand as a part of this trek. Owing to various pious natural splendors, this is one of the most popular treks located in the Garhwal Himalayas. The Kuari Pass Trek, one of the easy treks is suitable for the novices. It is also famous as the Curzon Trail because in the year 1905 Lord Curzon was the first person to do this expedition. This high-altitude mountain pass is reached via a narrow goat track. Further, this trek is famous for the spectacular vistas of various peaks of Dronagiri, Nanda Devi, Hathi-Ghodi Parvat, Kedarnath, Neelkanth, Chaukhamba, Gauri Parvat, Bithartoli and Kamet. Besides, the beauty of the snow-clad mountain ranges, the trek also allows the visitors to wander amidst the dense forests of oak, conifer, bamboo and birch forests. Residing in these woods is an array of exotic wild beings that allure the wildlife lovers from different nooks and corners of the world. 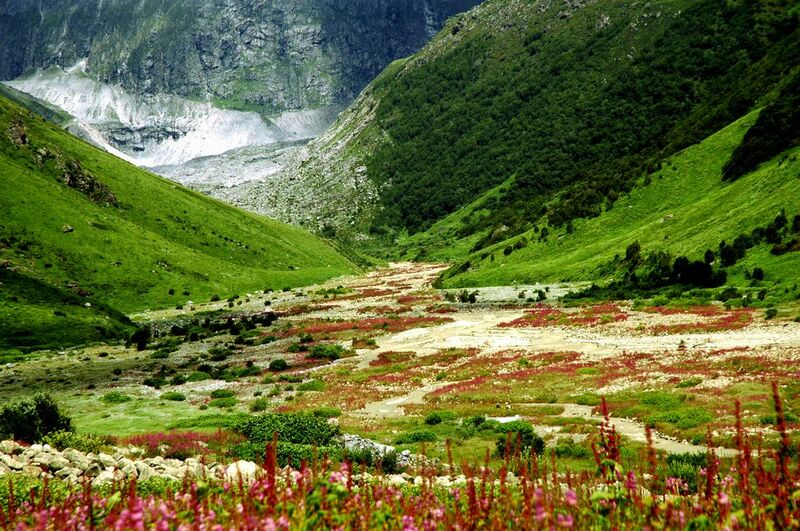 For all those who are a true lover of the Mother Nature, a visit to the Valley of Flower is a must. It is a stunning valley that boasts the beauty of nature at its best. Embellished with beautiful wildflowers, this valley is also an abode to various fauna species such as the Musk Deer, Bharal, Himalayan Black Bear, Brown Bear and so on. In addition to this, a soothing site for the sore eyes is provided by various colorful birds and butterflies. This trek is certainly a paradise for nature lovers and photographers. Located in the Bageshwar district of Uttarakhand, between the Nanda Devi and Nandakot Peaks, the Pindari Glacier Trek has always been the first love of the adventure enthusiasts. Owing to its prime location and serene surroundings, this trek is famous among the locals as the ‘Soul of Kumaon’. Dense forests and grand glaciers form the main highlight of this trek. In addition to this, the warm hospitality of the towns of Bageshwar and Almora, allows the trekkers to explore the rich culture of the place. 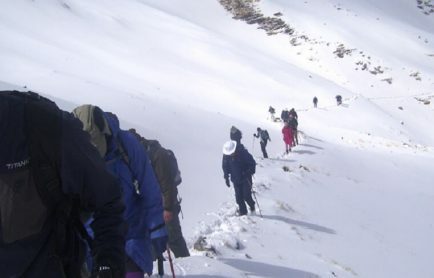 Thus, wonderful treks like this contribute a lot to the popularity of trekking in the Indian Himalayas. This trek is situated in the beautiful arms of the Kumaon region, and therefore it is known for embracing oodles of natural splendors within its vicinity. 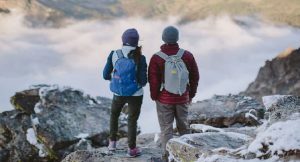 It is among the finest stretched treks of the Garhwal Himalayas, as the trail lets you explore various remote areas that are bejeweled with the awe-struck panorama of the Mother Nature. The main attraction of the trek is the sight of Mt. Trishul (7070 m) that can only be enjoyed after reaching the glacier. Further, the terrain of this trek is not very demanding, and thus, it invites both the professional and amateur trekkers. This is simply a trek that reminisces a déjà vu, unfolding a salubrious trance that captivates your attention. This trekking tour in Indian Himalayas commences from Gaurikund, a well-known destination celebrated for hot water sulphur springs. Sprinkled with many waterfalls, the trek boasts of the unmatched vista of Chaukhamba peaks and Mandakini Valley. The trek is encapsulated by the Kedar Nath Temple, which is a high pilgrimage place in India. 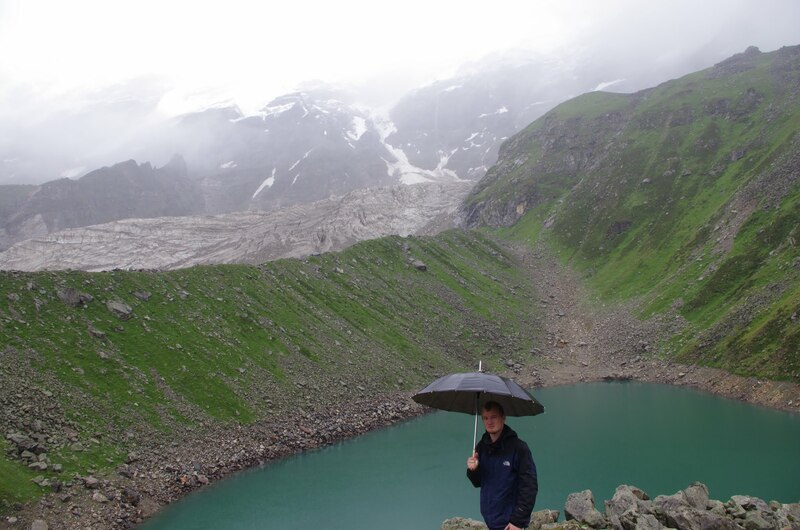 The trek ends at Vasuki Tal, known for its crystal-clear water. Many Indian monks could be seen meditating in a state of trance, caused by the tranquility of the region. Khatling trek has been yet unknown to many. 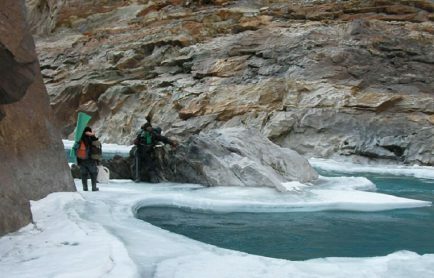 The destination point of the trek is the Khatling Glacier, which is the source of the river Bhilangana. The Bhilangana valley is a heaven for the photographers and nature enthusiasts. The vista encountered here is simply incomparable. The entire valley is surrounded by snow-clad mountains and lynching glaciers. This trek covers the complete topography of Uttarakhand, the grandeur of the lush-green meadows, sprinkled with the numerous streams alongside the glaciers is remarkably unbelievable. The trek gets thrilling as you reach a great altitude, as the meadows convert into moraines, which keeps your adrenaline pumping. Formerly famous as the Har-ki-Dun trek. The trek has well-crafted trail, that surpasses through the Govind Wildlife Sanctuary. The magnificent landscape is doubled by the ‘Juda Ka Talab’, known for its magical aura that brighten the trek. The trek to the Mt. Kedar Kantha commences from Dehradun. The trek is renowned for its unparalleled beauty and even the bio-diversity found is rare. The beauty of the trek is a delight for the eyes, and is worth visiting at least twice or may be more. Considered as the most salubrious trek in Garhwal, it is truly a place that is worth a visit. Known throughout the world as one of the most romantic trek expeditions, the vista and the magnificence of the Great Himalayas, certainly amaze you. The entire trek comprises of undulating meadows, alpine forests and high altitude grasslands. These together make the trek an immeasurable blissful experience. 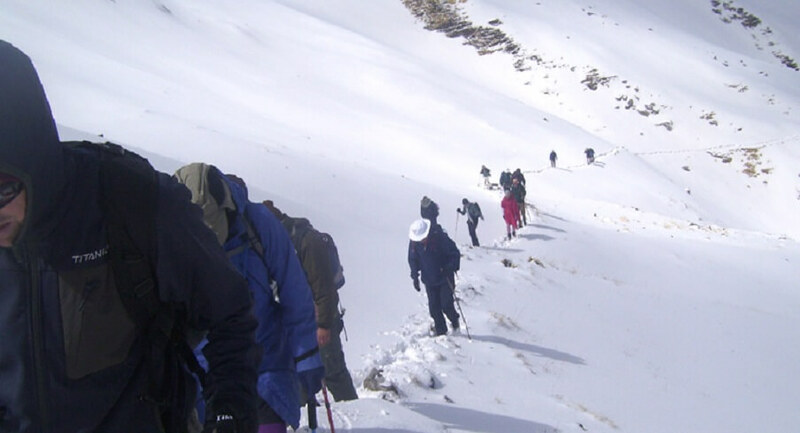 The trek covers all the five shrines dedicated to Lord Shiva in the charming valley of Kedar. This trek has many legends that unfolds as you commence your trek with Kalpeshwar, known for its cave temple, where Lord Shiva’s matted hair appeared. The trek heads towards Rudranath, where Shiva’s head appeared. As the altitude rises so does the grandeur of the Himalayan Peaks. Tungnath is the middle point of the trek, and the temple of Tungnath is the highest Shiva Temple in the world. His arms appeared in Tungnath. The next destination is Madhya Maheshwar, where Shiva’s naval appeared, and the journey concludes at an altitude of 3583 meters at Kedarnath. Lord Shiva appeared in the shape of the bull here. The trekking trails in Garhwal Himalayas offer you an unforgettable trekking experience in the immaculate solitude- free from the hustle-bustle of a city life. The trails of varying difficulties make this place a must visit for the trekking novices as well as the veterans. The months of April-June and September-October are the best time to visit this hilly destination in order to enjoy a memorable tour of your life!